Vacationers can move about Minneapolis-St. Paul International Airport and find locations that you will need during your travels as well as transportation to downtown. Commonly referred to as the ‘Twin Cities,’ the Minneapolis-St. Paul area is Minnesota’s cultural epicenter as well as an innovative city with countless landmarks. Make yourself part of the magic when you arrive to MSP Airport, whether you’re staying for just a moment or sticking around for an indefinite wait. 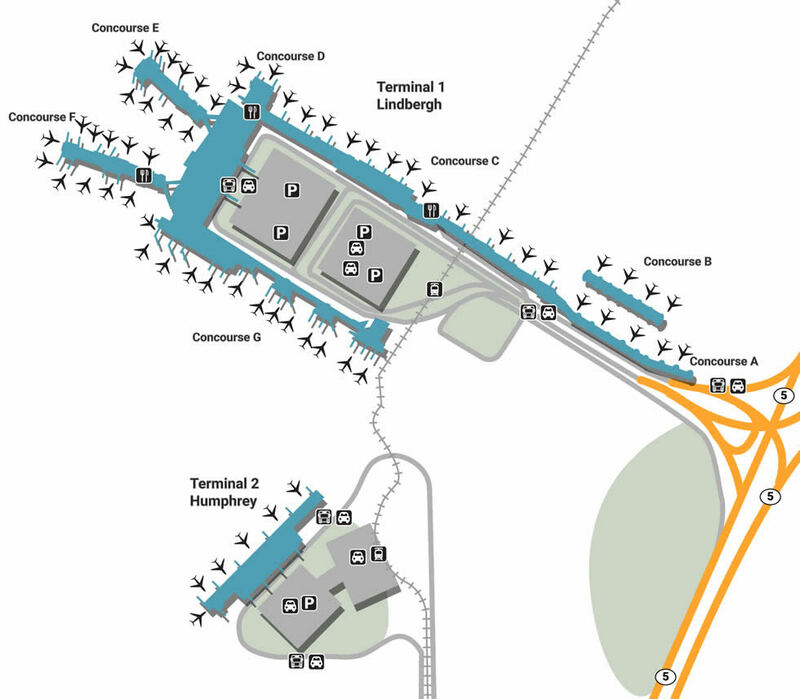 There are several places to park, each one as convenient as the last depending on which terminal you need to get to. Arrive to Terminal 1 quickest by utilizing either the Quick Ride Ramp, which has a 5-hour maximum stay, or stay much longer and closer by parking at General Parking down the street. Right next door is short-term parking for up to 7 hours. Terminal 2 is also home to its own short-term lot called Value Parking. This area connects directly to the lightrail, offering incredible convenience. Save the most time by becoming an ePark Elite Member, which offers touchless payments, reserved spots, and 24-hour security surveillance. From the expected to the luxurious, the wide range of services around the facility will leave you pleasantly surprised. Try your luck at Minnesota Lottery, located by Terminal 1 at the popular Airport Mall. If you’re trying to show up to a special event in style, stop by Zino Shines at Terminal 1, Concourse F for a shoe shine. Make yourself relaxed and ready to board by getting a fast massage at XpresSpa, located in the same area as the rest of the services. Passengers interested in pro-longed relaxation should look into spending a bit extra for First Class Seats, located near Gates C, E, and F.
Spend some time shopping while you wait for your next adventure, most of the shops located within the Airport Mall. Prepare for a camping trip by getting the right equipment at Adventure North (Airport Mall, Southside), a one-stop-shop for outdoor enthusiasts, whether you’re a rock-climber or runner. If you’re looking for an interesting book, head over to Daily News (Gate 4) for entertainments, gifts, and other travel accessories. Surprise your significant other with some sultry lingerie from the famous Flirt Boutique store, located at the south end and offering other simple luxuries like bubble baths and hosiery. Browse through the pottery, glass, and wood works at Inspired Life + Art (Gate C9), known for featuring prominent local artists. Any frown can be turned upside down with the help of a little food. Pick up a quick meal at Black Sheep, located within the Terminal 1 Airport Mall Food Court, and enjoy the afternoon with finely crusted pizza along as well as a full-service bar, or enjoy a grilled sub at the the famous northeast joint, Charley’s Philly Grill. Satisfy the salty with something sweet by walking over to Ben & Jerry’s afterward, located in the same area.